To ensure that you and your company receive the best possible help, we have staffed our Customer Service department with highly qualified people. These staff maintain regular dialogue with product managers and other specialists at Wenaas, and often take different courses to update their knowledge about both our own range and the rules and regulations linked to ISO/CE standards.We go the extra mile to meet your needs, doing everything we can to make a positive contribution, irrespective of whether the task involves registering orders, suggesting products or providing advice regarding the choice of equipment. If you would like us to send you a copy of our main catalogue or information about prices or our general terms and conditions of sale, then give our Customer Service department a call. 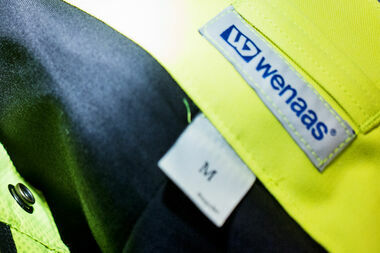 Wenaas has constantly remained an innovator in the sector, focusing unswervingly on the needs, comfort and safety of the working man and woman. 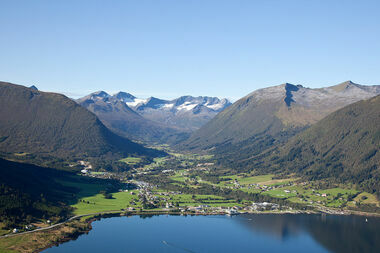 We were among the first to develop and produce workwear in Norway, and has evolved to become a leading international supplier of top-to-toe safety solutions. 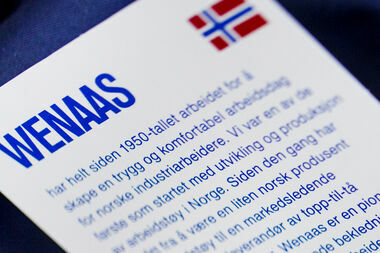 Wenaas owns and operates the entire value chain from initial idea to product development and distribution. As a result, we can supply flexible solutions and products, and we always deliver to the agreed time. We note and recognise the importance of “the right product at the right time and the right price”. This fundamental principle makes everyday life easier for our customers, and we have put systems in place to ensure efficiency, predictability and reliability with regard to our deliveries.